Last week’s “February thaw” had me checking out the spring forecast – the spring fashion forecast, that is. 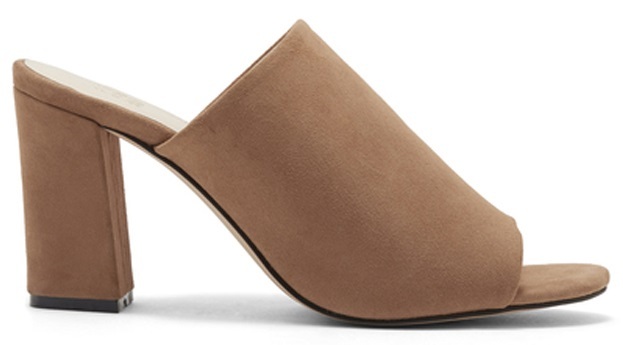 Seems THE shoe for spring is a peep toe slide with a block heel. After living in boots for the past five months, I can hardly wait to slip into a pair of these babies. But first I’ll need to get my feet back into shape. Whether you schedule regular pedis at the salon, or are more of a DIY girl, you probably don’t pay the same attention to your feet in winter that you do during beach season. While I generally polish my toe nails during the winter, how good can they look when I’m forced to keep them clipped uber-short because of the aforementioned boots? And even though I smother my tootsies in lotion, then wrap them in spa socks in an attempt to ward off alligator skin, my feet are not suitable for public viewing at the moment. Gotta get to work – heels and toes, heels and toes – my own version of spring training. So I’ve stopped cutting my toe nails. In a few weeks I’ll begin shaping them with an emery board, and by Easter they’ll be the perfect length for peep toes and strappy sandals. There are plenty of gadgets for getting rid of unsightly calluses, and most of them work pretty well. And finally two words: Epsom Salt. Dissolve a half-cup of this magnesium-rich stuff in a basin of hot water, and a ten minute soak a few times a week will do wonders for your feet. Now it’s time to go shoe shopping! She stepped out of the taxi, so vibrant, so cute, in her hot pink woolen swing coat. Her lipstick was a perfect match. She opened her vintage black patent leather kiss lock purse to pay the driver. Then she was on the move. She clearly had places to go. It was many years ago, but I still remember that older lady in the bubblegum pink swing coat, and how I thought: I want to be her someday. Now let me preface this by saying that my mom has not yet reached the age of that older lady in the pink swing coat. She has a way to go yet. But during one of our recent shopping expeditions, the topic of dressing one’s age came up. Me, I’m of the belief that looking fashionable has no age limit. My mother, however, was concerned that the pair of dress pants she was trying on were not exactly age appropriate for her. “Are they too trendy?” she wanted to know. Forget that we were shopping in a store that caters to women of a certain age. Just then, the older lady in the pink swing coat came to mind. I shouldn’t have had to convince her to buy the pants. It’s a shame that we, as women, are always questioning ourselves, especially about our appearance. 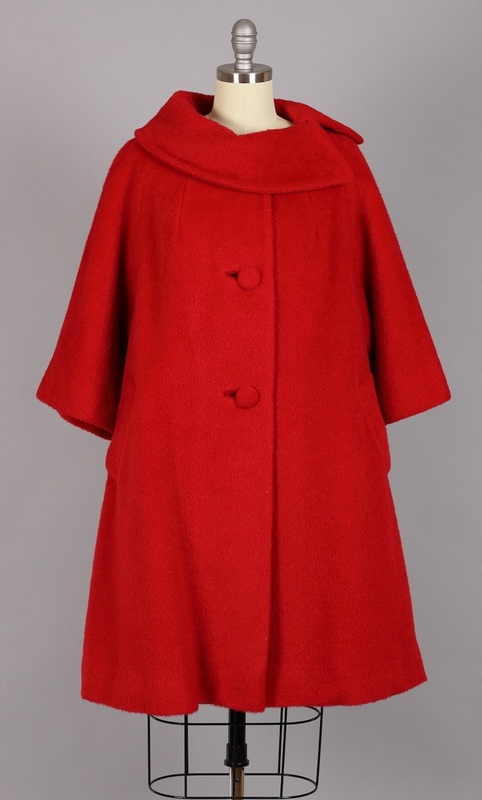 As for me, I’m still planning to wear a lively swing coat someday. But I’m not a pink girl. So mine will be red. And with it, I’ll wear lipstick that’s a perfect match.